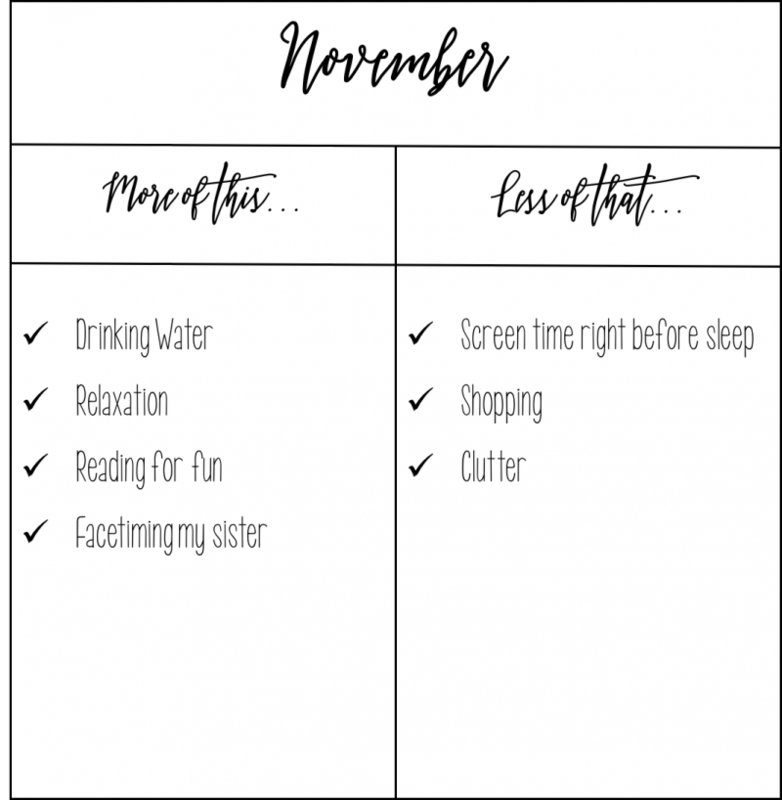 This month I’ve decided to add a little reflecting into my monthly intentions. So, first a reflection of my October intentions. In September I really fell off the meditation wagon. I find that meditation is so helpful to my happiness and my daily life. I try to meditate at least once a day usually I aim for twice a day. Right when I wake up in the morning and in the evening. This month I managed to meditate 5 to 6 days a week. Not too shabby. Mindfulness and meditation are practices that I keep going and will continue to work on next month. I did take it off my intentions because I just need to maintain what I am currently doing. I find that my life comes together so much better when I stay hydrated. My skin looks better, I feel less tired, I get fewer headaches. It is a win-win situation all around. While I did up my water intake this month I can still do much better so I am keeping this on the list for November. Thankfully with my newfound mask obsession, I have been taking time out of each day to relax. This has been extremely beneficial for me. I am keeping it on for next month because there is still room for improvement and November is always such a busy month. I can’t even tell you how long it had been since I read for fun. I made it a part of my evening routine and it is such a perfect way to end the day. I want to start adding more minutes to my reading time in November. In September I got into a really bad habit and I watched stuff on Netflix until I was nearly asleep and then would close my computer and be awake for another hour. In October I started leaving all my electronics except my phone in a different room before getting ready for bed. It made a huge difference! This is something I am going to keep up as I work through November. Yeah… This is not one of my best parts. In September things got real negative at work and I started spiraling down the black hole of complaints. I had to become mindful of when I was complaining and who I was complaining to. Guess what? My life got a whole lot more positive once I stopped whining about everything going on in my life! I took this one off the list for November but it will always remain in the back of my mind. Um… this has to stay on the list for November. To be 100% honest, I don’t think I even tried to shop less at in October. I just said I was going to. Now I actually am going to because I am trying to get rid of some clutter in my life. 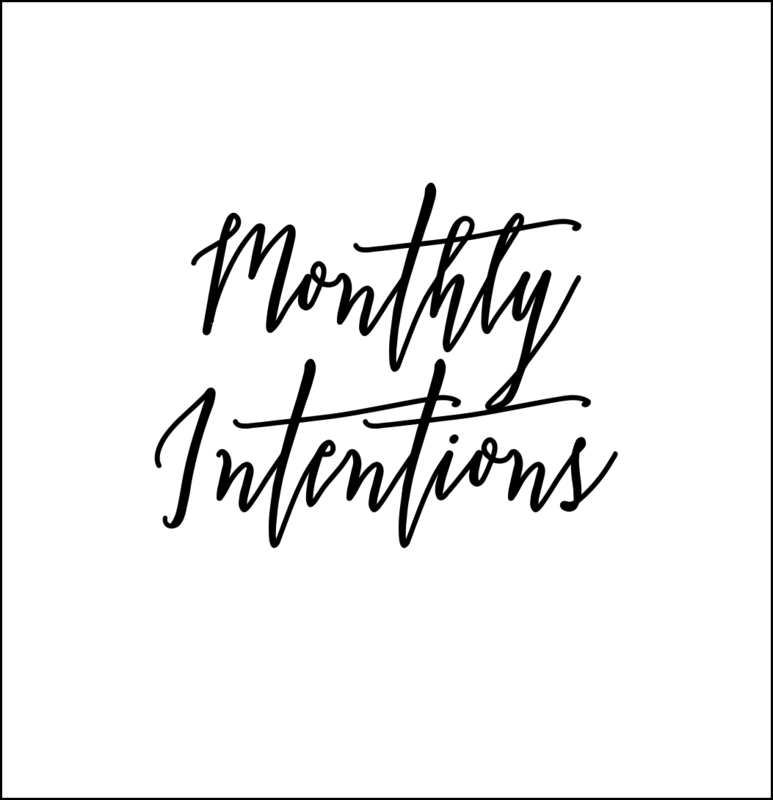 What are some intentions you are setting for yourself this month? Let me know in the comments section below!